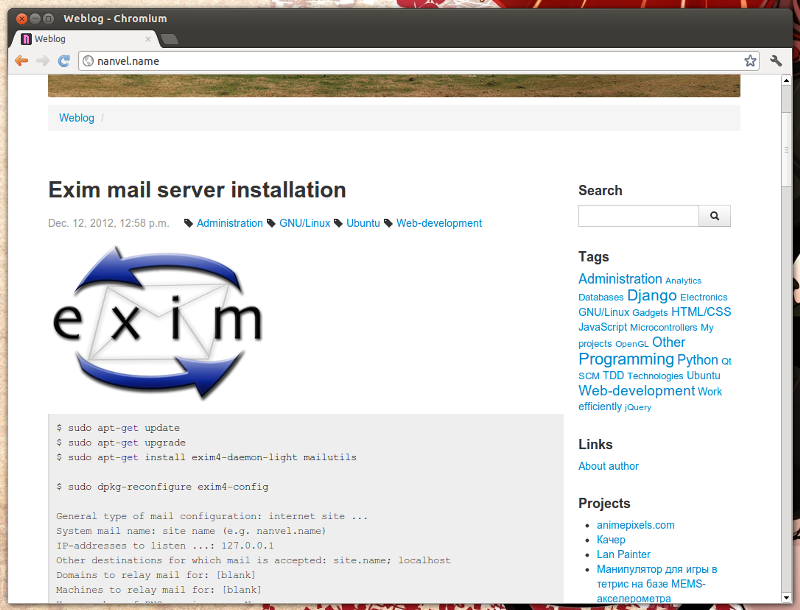 In October 2012 I started weblog django project to replace my old personal weblog site. Source code available on bitbucket: https://bitbucket.org/nanvel/nanvel_weblog/. Elasticsearch and haystack used for search feature. The project development is stopped.